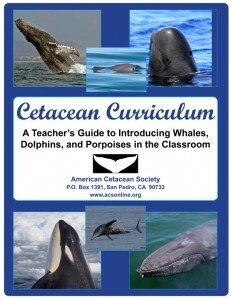 This 46-page teaching guide is a fun and exciting tool for educators interested in introducing their students to whales, dolphins, and porpoises. The curriculum uses a multi-disciplinary approach to learning about cetaceans, and encourages inquiry through hands-on activities and engaging different learning styles. Intended as a dynamic portal leading to more in-depth engagement into the world of cetaceans and their habitats, the curriculum covers topics ranging from cetacean anatomy and evolutionary adaptations to life in aquatic environments to habitat health and how to draw whales, dolphins, and porpoises. Best suited for grades K-5, this eclectic and experiential curriculum is available at no-cost and has been used by over two million teachers, students, and parents worldwide.